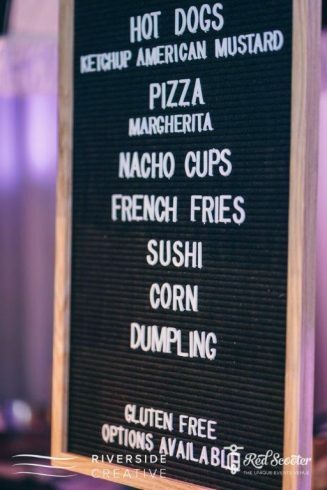 Our Food and Bar Cart Menu brings together your favourite fun foods and drinks in our unique warehouse event space. 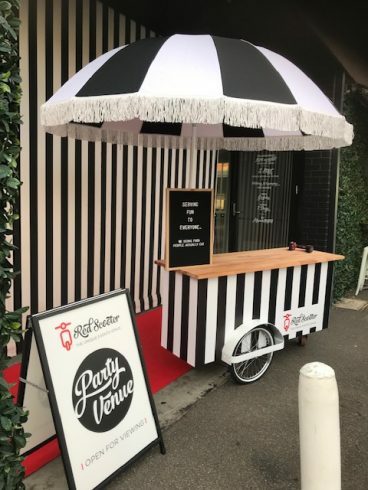 The art of stand up grazing with food and drink carts is a food trend that is gaining momentum as a fun, varied and interactive style for any event. With a full branding solution, including branded carts, tray paper and more. With a wide variety of trending wines, sparkling wine, Champagne, beer, spirits, cocktails, mocktails and soft drinks on offer. 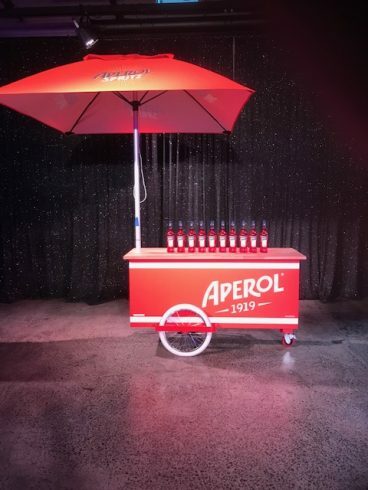 Why not creat a fun, interactive and on trend bar cart to suit the theme of your event. 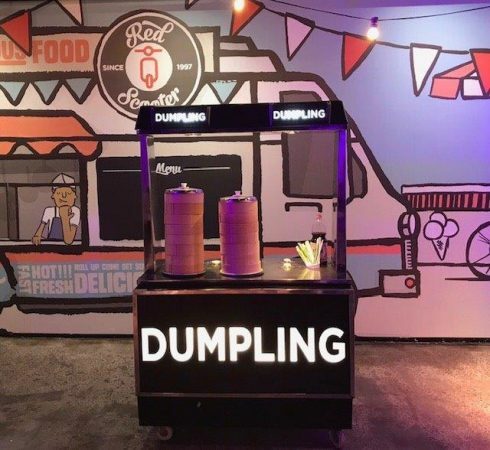 There’s dump-thing you should know about dumplings, if you havent jumped on the dumpling bandwagon you should. Here are some of the most mouth watering dumplings we have on our menu at Red Scooter. For you to add to youre must try list, pork, chicken, prawn and vegetarian. 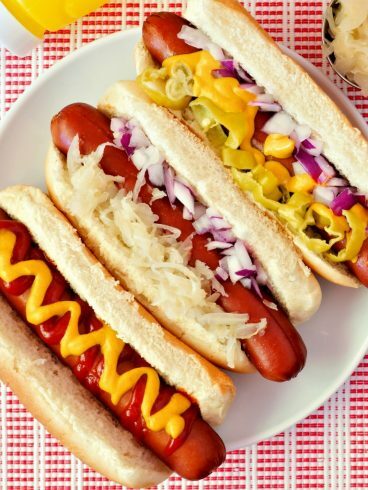 Chicago Dogs: yellow mustard, speared pickle, celery salt, chopped onion, BBQ sauce and frankfurter. Our Boss Dog: gourmet beef sausage in a brioche bun dusted with cheddar cheese and topped with pickles, crispy fried shallots, tomato sauce and mustard. Nacho Dogs: gourmet beef sausage in a brioche bun dusted with cheddar cheese and topped with guacamole, crushed corn chips and chilli sauce. The Haloumi: in a brioche bun dusted with cheddar and topped with either pickles, crispy fried shallots, tomato sauce and mustard (v). As food and bar carts continue to evolve—showing up at corporate events and at weddings and other private parties—so will their menus. If you would like to find out more about our on trend food and bar carts, contact us on 03 9527 6846.